The lovely Miss Hale is the governess to Eliza and Edmund, the children of the Duke of Cromwell. She is ready to love them as her own, but her biggest challenge will be their father. Since his wife died, he wants nothing to do with his children. Lady Isabella Ingram wants the Duke for selfish reasons and will do everything to manipulate him. 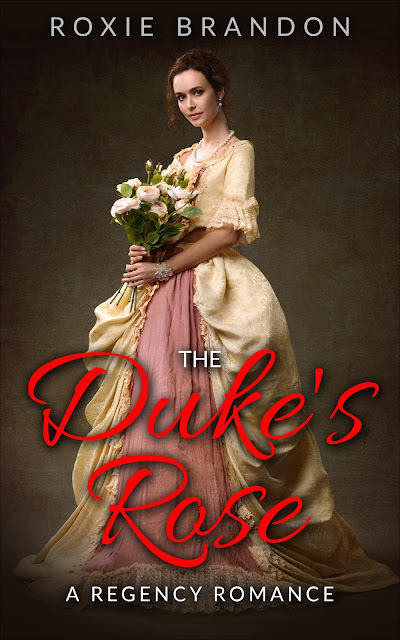 Will the innocent Miss Hale win the Duke's heart? Roxie Brandon is an author of historical and contemporary romance. Her romances range in setting from Medieval times to the Twentieth Century. She loves walks in the countryside and having afternoon tea with family and friends. Today I welcome author Michelle Alstead to Andi's Book Reviews. Her standalone romance After Love Leaves is not your conventional love story, because love is messy and complicated. which has made it even more enticing for readers to devour. Here she shares a bit more about the story. This is a novel for women who understand that love is messy and complicated. There are no perfect people in After Love Leaves. Just real human beings struggling to overcome their insecurities and find lasting love in the process. Some characters you’ll root for and others you'll want to shake your fist at. My inspiration to write this novel came from the kind of break up that rocks your soul and leaves you wondering how you didn’t see the train coming before it hit you. That relationship ended with a two-sentence text message that left me confused, heart-broken, and very much alone. After a couple of years passed and I realized that my former significant other was never going to give me that one last conversation that answered all of my questions, I decided to write a fictional novel where the characters get to have the conversation I never had. It gave me a profound sense of closure and peace. Compared to my other novels, this is my first true romance novel. There is no secondary plot. It’s all about Zoe and Brad. Unlike the other adult novels I’ve written, After Love Leaves is meant to stand-alone and there won’t be a sequel. The character of Brad however, was introduced in Before It’s Done, which is a prequel to After It’s Over. All four of my adult novels take place in the same universe so if you like one, hopefully you’ll read the others and enjoy the stories of the characters that cross over between novels. I enjoyed writing After Love Leaves more than any of the other novels because I felt the characters were relatable. Zoe struggles with a lot of the same issues we all face. She battles her love of Oreos and simultaneously her disdain for the gym. She wants to find the right guy but has a terrible habit of attracting the Mr. Wrongs of the world. It’s my hope that women will read this novel and be able to commiserate with the difficulties of dating and the struggle to find love and acceptance. As Gavin’s junior year comes to a close, he faces an inner conflict with his status as the most popular kid in high school. It’s not lost on his father, who sensed for some time that his overly indulged son needs redirection. Making matters worse for Gavin, his dad sends him away for the summer to assist at a camp for children with special needs. Arriving at camp Life Me Up, Gavin is suddenly forced to dabble in a world less familiar. After his first uncomfortable encounter with a strange girl with multi-colored fingernails, who refuses to waiver his arrogant behavior, Gavin comes face to face with a person from the past, which leaves him uneasy. Inevitably, three people clash and collide, but when tragedy strikes, they come to an understanding regarding their differences. Becoming a young adult, Gavin faces a summer of harsh lessons in reality. Once he crosses the bridge from a self-inflicted prison to the road to freedom, Gavin and his new friends implement a strategy to stir up the social order when they return to school in the fall. “Life Sliding” is a compelling read from beginning to end and clearly demonstrates author S. L. Mauldin’s original and exceptionally gifted storytelling talents. 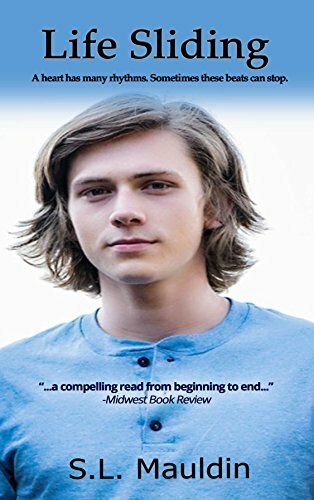 While very highly recommended for school and community library YA Fiction collections..."
S. L. Mauldin is an optioned screenwriter and the author of the young adult novel Life Sliding and the forthcoming teen fiction novel Always Here. 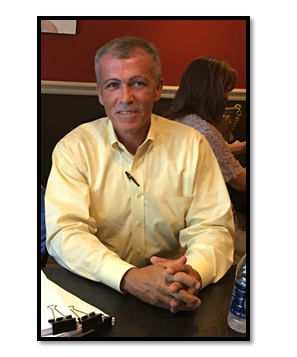 Shannon was born in the suburbs of Atlanta, where he now resides and continues to write books for teens, but stories relatable to readers beyond those turbulent adolescent years. Currently, S. L. Mauldin is preparing a live stage presentation of Life Sliding and is in pre-development of the feature film. I was compensated via Fiverr for sharing this post.